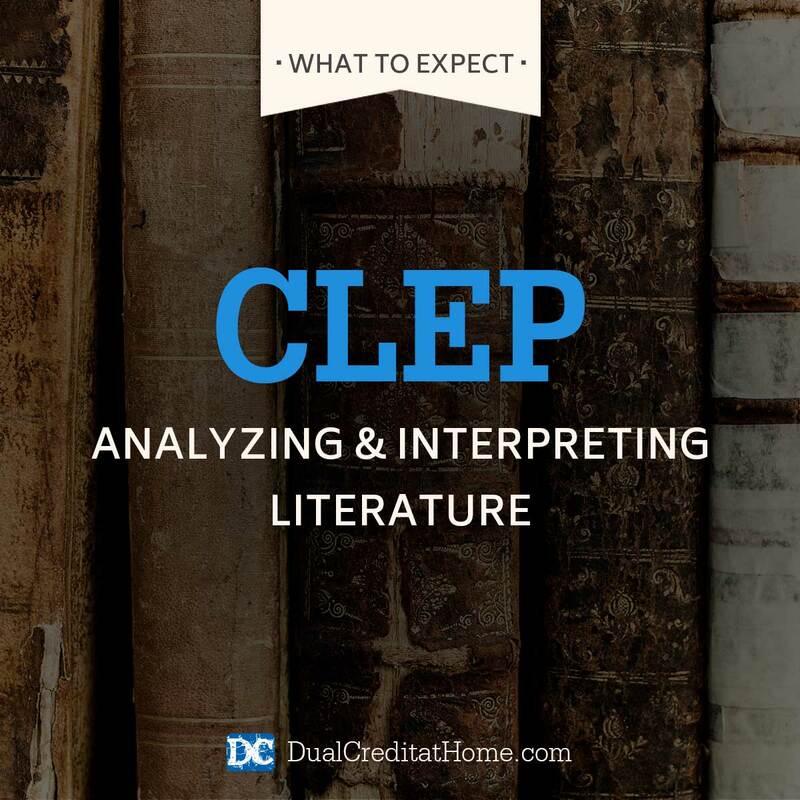 The College Level Examination Program (CLEP) test on Analyzing and Interpreting Literature measures your ability to identify literary devices, understand written works and analyze their meaning. The exam’s content is comparable to a general undergraduate literature course. This test allows a student to earn a minimum of three college credits. To pass this exam, you must have a broad knowledge of general literary concepts, but you don’t need to study a specific author or book. According to the College Board, more than 60 percent of the questions focus on poetry and prose, and at least 15 percent of the questions are based on dramatic texts and plays. British and American literature is emphasized although some translations are included. The questions focus on works from the Renaissance through the 21st century. What’s the Analyzing and Interpreting Literature CLEP Like? For most questions in the Analyzing and Interpreting Literature CLEP exam, you’re given a short passage to read and analyze. The passage is followed by one or more multiple-choice questions. In most cases, you’ll analyze the work line by line. It’s important to note that there are two versions of this test. The basic exam includes 80 multiple-choice questions that you must answer within 98 minutes. The optional second version of the test requires you to write two essays in a separate 90-minute module. The minimum passing score is typically 50 although this varies by institution. The highest possible score is 80. Some colleges offer six credits for the expanded test. Others only offer three. Contact your college for specific information before registering. Questions on this exam vary from basic reading comprehension to advanced analysis. The test focuses on the following skills. The following list is taken from the Analyzing and Interpreting Literature CLEP overview from College Board. This CLEP exam rewards students who have a solid knowledge of literary devices and analysis techniques. Here are a few ways that you can develop those skills before the test. – Use Dual Credit at Home’s comprehensive Analyzing and Interpreting Literature Study Plan. We’ve eliminated all the guesswork of what to study and how to study, so in just five weeks, you can be ready to pass this CLEP exam! – Spend time reading literary analyses or anthologies that include critiques. If you use the Dual Credit at Home Study Plan for Analyzing and Interpreting Literature, we’ll provide you with book suggestions, plus give you recommendations for practice tests. – Browse through a college literature textbook to see if the topics look familiar. – Prepare for the exam by looking at sample questions and completing a practice test. – Analyze books, plays or films to see if you can identify literary devices and themes. – Discuss literary works with your friends to see how they interpret the same content. Dual Credit at Home students get complimentary access to our private Facebook group. You’ll benefit from our community’s ideas, tips, encouragement, and resources. Scheduling: You can register for the Analyzing and Interpreting Literature exam on the CLEP website. Don’t forget to learn about your college’s minimum acceptable scores beforehand. Costs: The cost of the Analyzing and Interpreting Literature exam is $87. Your local testing center might also charge you a fee, typically $25. If you are in the military, testing is free. ACE recommended scores: The raw exam scores are converted into scaled numerical scores between 20 and 80. You will receive your score immediately after taking the exam. Many colleges, including the one we recommend Charter Oak State College, require a passing score of 50, but always confirm that in advance. Semester Hours: Many colleges will award you 3 lower-level college credit hours, but check with your preferred college for detailed information about credit hours. By passing this CLEP exam, you’ll be on your way to earning a college degree while spending less money and less time in the classroom! Dual Credit at Home will give you a complete Study Plan package for taking not just the Analyzing and Interpreting Literature CLEP exam, but 12 more CLEP & DSST exams that can earn you up to 51 college credits. To learn how Dual Credit at Home is helping students save time and money on college, download our free e-book, The Dual Credit Secret.